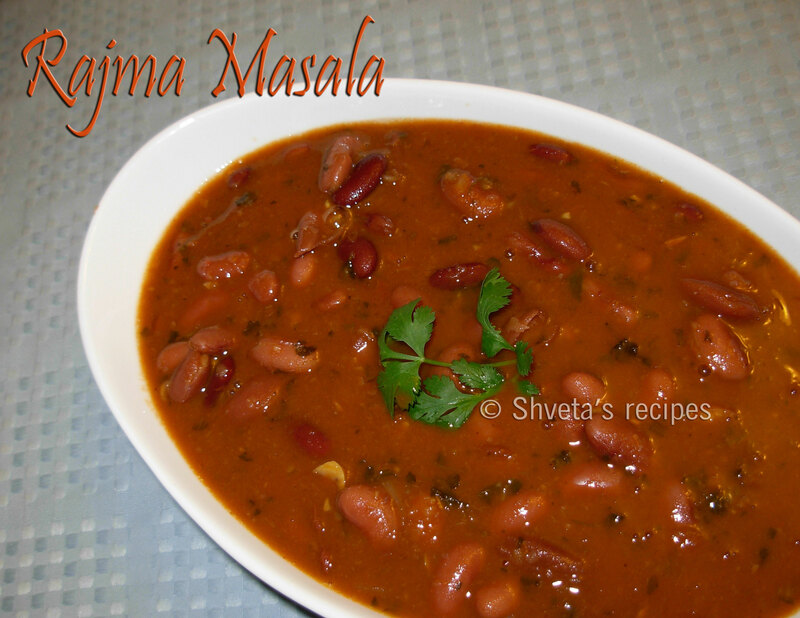 Rajma represents Punjabi cuisine and best accompanied with fragrant basmati rice. It can be cooked in pressure cooker or slow cooker. Enjoy its authentic recipe. Soak beans overnight in plenty of water. Rinse beans before cooking. In the pressure cooker or in slow cooker, add beans, 4 cups of water and salt. Let it cook until Rajma beans are soft. In the food processor, puree chopped onions, garlic and ginger. Keep aside. In a sauce pan, heat oil in medium -high heat. Add cumin seeds. Let it splatter then add onion, ginger-garlic puree. Half cover it to avoid splattering. Let it cook on medium heat. Keep stirring till it turns light brown in color and most of its moisture is evaporated. Add cut green chilies, chopped tomatoes and all the remaining dry spices to it. Cook on low heat for another 4-5 minutes. Add cooked beans and sugar to the pan. Mix well. Let it simmer for another 10 minutes on medium-low heat. Garnish Rajma with freshly chopped cilantro and serve hot with basmati rice.